Stay in one of our vacation rentals and you will enjoy the privacy of your own lodge with all the amenities of home and spectacular views overlooking Homer. Our guests all want to visit Alaska to experience all of what Alaska offers. Alaska has a lot to offer and if you try to do it all you will wear yourself out. At Alaska Adventure Cabins we offer 180 degree views from 7 unique accommodations overlooking Kachemak Bay. We are within the City Limits of Homer, Alaska and are easily accessible by road from Anchorage. Within five miles of our lodge our guests can experience a day of whale watching, bear viewing, fishing, horseback riding or kayaking. Get away to Homer, Alaska and change your life forever. We offer a variety of lodging options: choose from two log homes, a 2400 sq. ft. timber frame lodge, a converted 75' gulf shrimp boat on land, a converted Pullman rail car, and two unique homes. 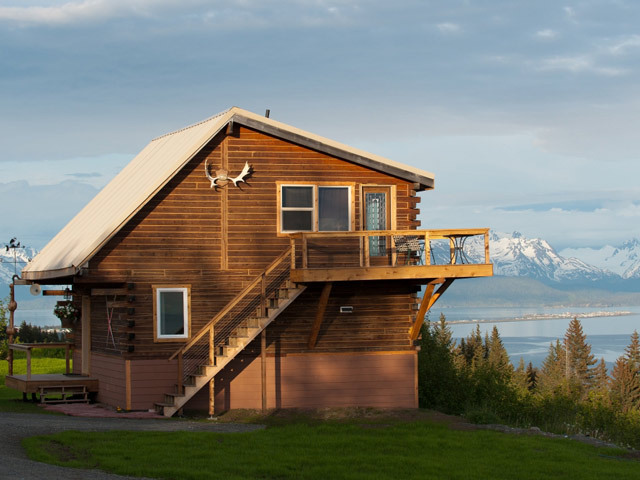 Alaska Adventure Cabins are located close to town and the Homer Spit on Baycrest Hill overlooking the most breathtaking view in Homer, AK. The panoramic view is so spectacular that the State of Alaska located the popular scenic pull-off right up the hill from our cabins. The cabins are so unique and special, they have been featured on HGTV's series "ReZoned" and the Travel Channels' series "Amazing Vacation Homes." Bear Viewing, Hiking, and Fishing are just a few of the popular activities. While here, be sure to check out the local glaciers, the Homer spit, Mt. Augustine volcano, Kachemak Bay and Cook Inlet. If famous, Alaska fishing is what you're looking for, the innkeepers here at Alaska Adventure Cabins will help you find the best guides and spots to make the most of your fishing vacation. 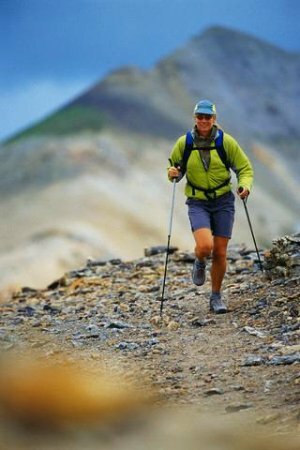 With so many activities to do in the area, including ecotours, hiking, and sightseeing, there's sure to be something for everyone. One of our Alaskan suites will be sure to provide that much-needed rest and relaxation after a day filled with fishing. Real estate opportunities abound in Homer. Visit our Real Estate page for more information. Our accommodations are open year round! !